Shoreh Merati’s mission is to provide her clients with professionalism, honesty and integrity. From her past experiences as an interior designer or an entrepreneur, she incorporates her knowledge and experience to make sure that her clients receive the highest quality expertise. In a global economy where sellers and buyers are no longer limited to the local market, Shoreh and her Team will market your property not only locally but internationally. As a Certified International Property Specialist (CIPS), she will market your property to the world. Shoreh will connect the right buyers and sellers of luxury residential properties whether the property is located in the U.S. or anywhere else in the world. Additionally, Shoreh’s International background is an asset to her career as an International Property Specialist. Born in Japan, Shoreh grew up in Switzerland where she obtained her college degree in Interior Architecture in Geneva, Switzerland. She has a great understanding of art, conformity, and design. Shoreh is multilingual and is fluent in English, Farsi and French. With this vast background, Shoreh can provide intelligent, fast, hassle-free, and honest service to her clients. Shoreh Merati’s mission is to provide her clients with the kind of quality, professionalism, honesty and integrity that she has always brought with her no matter what her profession. Whether as an interior designer, a legal assistant or an entrepreneur, she always made sure that her clients received the ultimate in good quality work, professionalism and honesty. 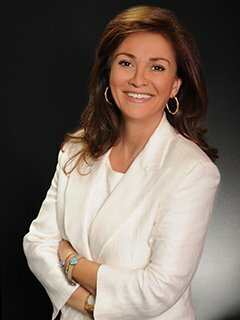 Shoreh is currently part of the ALC (Agent Leadership Council) and Director of International Estates at Keller Williams Realty Brentwood.